While we consider all of our clients equally as special, we felt it appropriate to spotlight the following client. Not only do they boast an impressive 85,852 employees, but they deliver over 5 billion units a year to around 1.5 billion different locations. Needless to say, with that kind of shipping logistics, printing ID cards in-house was a headache they wanted to avoid. IC: Why did you decide to outsource ID card production with InstantCard? SC: Our elves live a very long time. Because of that, our employee turnover rate is negligible. So, the fact that you have no minimum batch size made you the perfect choice. 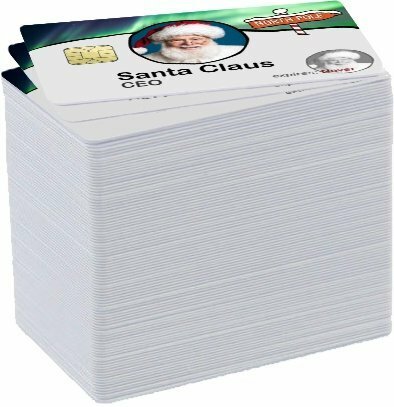 We can order individual cards every 30 years or so when an elf gets a replacement. IC: How do they live so long? SC: Ho Ho! Magic, of course! The same magic that fuels our delivery system, keeps elves healthy for a very long time! IC: How have you used smart card technology? SC: That magical chip on every card has helped production fly! Before, we had a physical Naughty/Nice list I kept locked up. It was a pain giving the key to senior elves when they needed to reference it. Now we simply use those magical little smart IDs to grant access to a digital list. Any elf with permission can view the list on their computer whenever he or she needs to. IC: What would you say to anyone considering using InstantCard for their ID card needs? SC: Why, InstantCard is almost as good as a plate full of cookies! 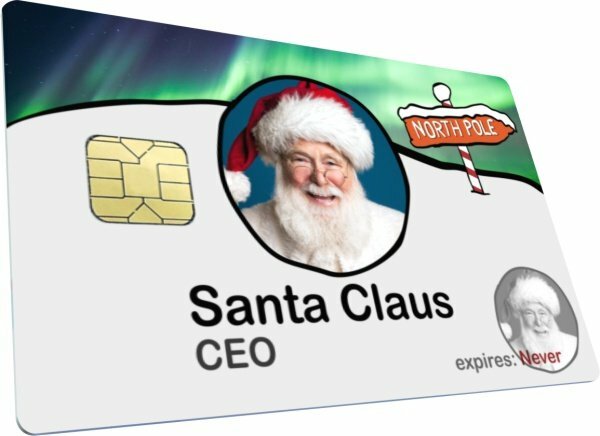 If they’re good enough for the North Pole, they’re good enough for your company! We tried in-house printing, but dealing with jammed printers was worth a lump of coal. We considered making new printers in the workshop, but that would have cut down on PS4 production by 15%. Thank you so very much for your time, Santa. We Look forward to you next order in 20 years or so!